Currently viewing the category: "Briggs & Stratton"
Before you head out to get your lawn and landscape machinery humming again, check out the Consumer Product Safety Commission’s recent tool recalls (beginning January 1, 2013) to avoid unwanted burns, gas leaks, lacerations, and explosions. The carburetor bowl nut on Ariens’ orange-and-black 24-inch Snow-Thro can allow gas to leak from the unit, causing a fire hazard. The model number is 920014 with serial numbers from 100,000 through 119,039. 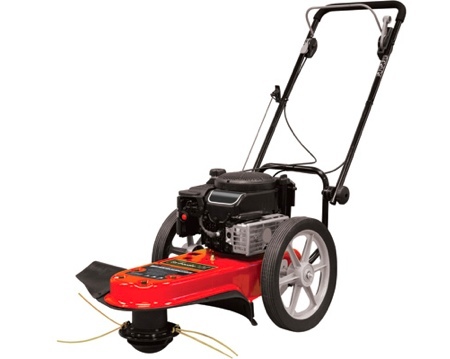 They were sold from August-September 2012 at Ariens and Home Depot locations nationwide. The cordless tool battery pack, model P108 and part number 130429028, can overheat and burst while on a charger, causing fire and burn hazards. They were sold at Home Depot in the U.S. and Canada from September-December 2012. Handheld string trimmers have their limitations, depending on whether they’re corded, how they’re fueled, and how powerfully they slice through weeds (and how much wear they put on your back during long tasks). 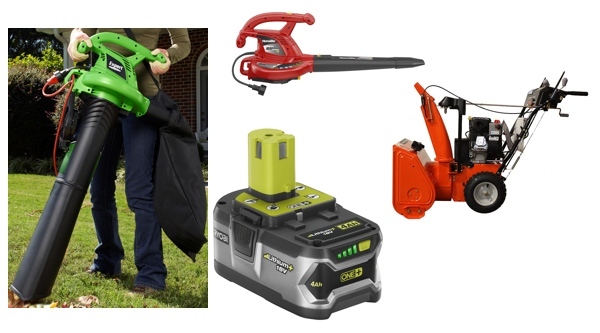 But what about powerful, rolling string trimmers? The Ardisam Earthquake Model# 600050B runs on a 4-cycle, 190cc Briggs & Stratton OHV engine. It’s heavier and has a bigger engine than most trimmers, which may not really be an issue since you don’t have to carry it. The line diameter is 0.155 in., with a 22″ cutting width and large 14″ wheels for maneuverability — plus it has a drive lever for setting cutting height. Street pricing for the Earthquake starts around $349.